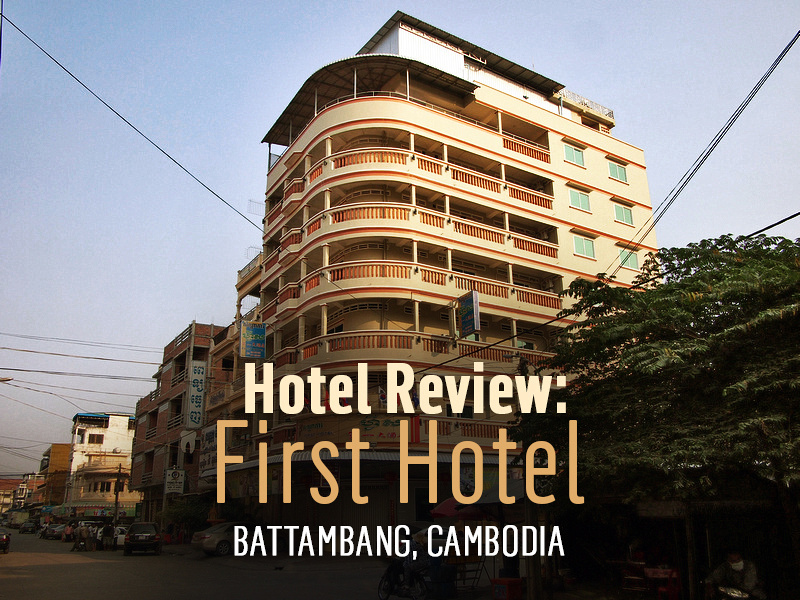 I stayed at the First Hotel in Battambang, Cambodia. I booked online for the rate of $6USD per night and selected it for its review score and location. Not that the location matters too much in Battambang as it is a compact city and this place is about ten minutes walk from the historic riverside area. I had stayed the night before at a place opposite it for $5.75 a night, so I was really staying for cheap on this trip to Battambang. The building is a typical style of Battambang where there is a veranda around the outside of each floor. The old colonial buildings use this style and it seems that the new buildings are emulating the same style. Even though none of the rooms open out to the balcony area I like this style as it shields the building from the heat somewhat. I had a double room with fan and private bathroom. 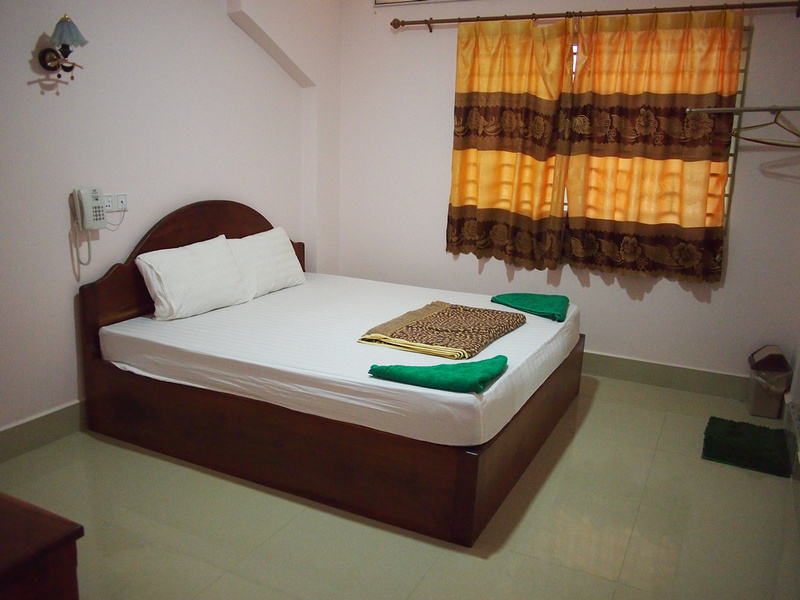 The bed was comfortable and the fan was sufficient without needing an air conditioner. In what seems to be a common practice in Cambodia there was no top sheet, only a thin blanket. This is when a travel sheet comes in handy. 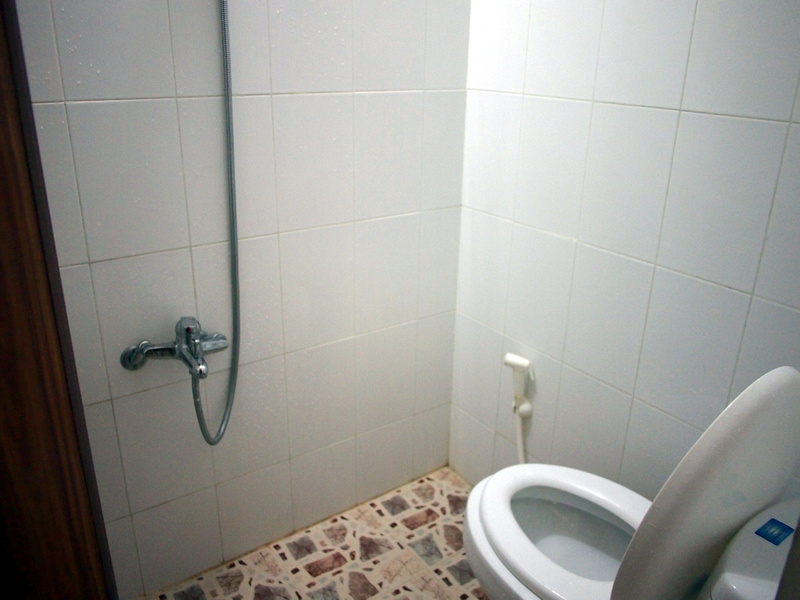 The bathroom was very small, especially in comparison to the fair-sized bedroom. There wasn’t enough room to take a full photo so this was the view from the door. The shower was cold water (it’s a $6 room after all) and the water took a little while to drain from the floor. I had good wifi in room, picking up signals from three floors. Overall this was a nice place to stay. Book the First Hotel online or search for more hotels in Battambang.